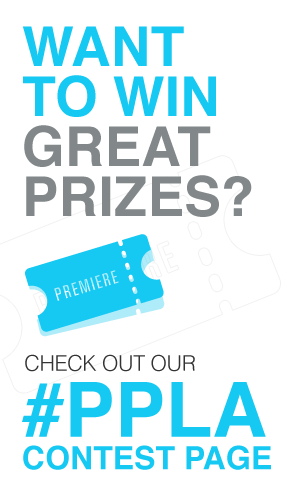 Press Pass LA had the honor of attending the Writers Guild of America’s 101 Funniest Screenplays, an evening with panels and clips honoring outstanding screenwriting at the Cinerama Dome in Hollywood. Hosted by writer/director/actor Rob Reiner, the panel honored screenwriters including Alexander Payne (Election, Sideways), Jon Favreau (Swingers), Peter and Bobby Farrelly (There’s Something About Mary, Dumb and Dumber), David and Jerry Zucker (Airplane, The Naked Gun), Michael Elias and Carl Gottlieb (The Jerk), Karen McCullah & Kirsten Smith (Legally Blonde), Buck Henry (The Graduate, What’s Up, Doc? ), Randi Mayem Singer (Mrs. Doubtfire), Jennifer Westfeldt (Kissing Jessica Stein), Daniel Petrie, Jr. (Beverly Hills Cop), George Gallo (Midnight Run) and many more! While on the red carpet, we were able to speak with some of the most influential comedy writers of our time, and they had a lot of amazingly hilarious and interesting things to say. We first spoke to Karen McCullah, the writer of the smash hit Legally Blonde starring Reese Witherspoon. Her experience on Legally Blonde was one of the most influential experiences of her life, due to how well it was received and what ended up happening with her career after that huge success. McCullah said, “Since then we have done Ella Enchanted, She’s The Man, The Ugly Truth, The House Bunny, and right now we are doing a reboot of Sister Act and a female version of The Expendables called Expendabelles.” McCullah also said she’s been emailing Witherspoon about putting together Legally Blonde 3, you heard it here first! We then got to speak with the writer of the Pitch Perfect films, Kay Cannon. Now this woman has had an amazing career in comedy writing, getting her big start in the writers room of 30 Rock, learning from the best of the best. “30 Rock was like going to grad school for writing. Learning story, joke structure, learning from the best, Tina Fey.” When asked about how Pitch Perfect came to be, Cannon told us about her journey of coming up with the idea, to then getting the green light. “I sang in musicals, but knew nothing about the acapella world, until I was in the writers room at 30 rock and someone made a joke about it and I had no idea that even existed. I thought it would be a great idea to make a film about it, then I got the book “Pitch Perfect” in my hand, and Elizabeth Banks and her husband Max Handelman helped me get the rights to the book, and we sold it at Universal.” Cannon is now deep into writing Pitch Perfect 3, and is looking to direct in the near future. Jon Favreau talks about his career in writing before and after the groundbreaking Swingers. After speaking with Cannon, we got to speak to Michael Elias, the writer of one of most epic family comedies of our time, The Jerk. When asked about how the film has transformed through time, Elias had a fantastic response. “It is a film adults like to show their children, children really enjoy watching this film with their parents. Kids discover their parents have a real sense of humor and they like that.” Next, Elias is shifting gears and is working on an elizabethan drama about Christopher Marlowe, the Elizabethan playwright and poet who was also a spy for the english secret service. We then had the amazing opportunity of talking to one of the biggest names in Hollywood today, Jon Favreau. He was being honored at the event for his work on Swingers, which he wrote and starred in early in his career. “I always hoped I would be able to make movies, I kind of took advantage of whatever doors opened and I learned a lot reading scripts acting for auditions, then I tried to write my own. Then when Swingers came out I was seen as a writer, then was getting hired to do a lot of rewrites, and every step of the way making a living, you are learning, because you are working with people more experienced than you, and you are seeing projects develop, some fail, and some not get made, and so I think it is just a matter of how much time you spend. All of these skills are related to storytelling, and knowing how to tell a story is the basic skill of all of these art forms, how to tell a story and keep them interested,” he explained. 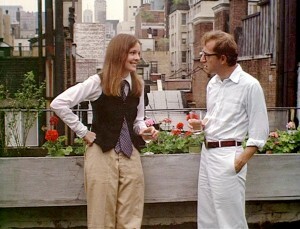 Annie Hall topped the list of 101 Funniest Screenplays of all time. The list of amazing screenwriters we were able to speak with was astounding, as was the panel itself. Following the red carpet, the evening consisted of about six panels moderated by Rob Reiner, talking with screenwriters on the list of the 101 Funniest Screenplays. Each panel focused on a different type of comedy; Buddy movie/Rom com, Classic Comedy, etc. The panel even recognized several films that did not make the list but were close, such as Legally Blonde, Pitch Perfect, and What Women Want. The full list is below, including each film’s rank and credited screenwriter. Screenplay by Mel Brooks, Norman Steinberg, Andrew Bergman, Richard Pryor, Alan Uger, Story by Andrew Bergman. 1974, Warner Bros. Screenplay by Steve Martin, Carl Gottlieb, Michael Elias, Story by Steve Martin & Carl Gottlieb. 1979, Universal. Written by Jon Lucas & Scott Moore. 2009, Warner Bros. Screenplay by John Hughes. 1983, Warner Bros. Screenplay by Buck Henry and David Newman & Robert Benton, Story by Peter Bogdanovich. 1972, Warner Bros. Written by Christopher Guest & Eugene Levy. 2000, Warner Bros. Written by Albert Brooks & Monica Johnson. 1985, Warner Bros. Screenplay by Julius Epstein & Philip G. Epstein, Based on the Play by Joseph Kesselring. 1944, Warner Bros.